#VICTORIAAVEYARDinPH was held at National Bookstore Glorietta 1 last March 6,2016. On the day itself I woke up late, 4am, yes I was already late by that time since I was supposed to wake up at 3am and leave by 4am. I took a quick shower and I was ready to leave by 4:30am. I arrived at the venue quarter to 5am. Luckily the line was not yet long. 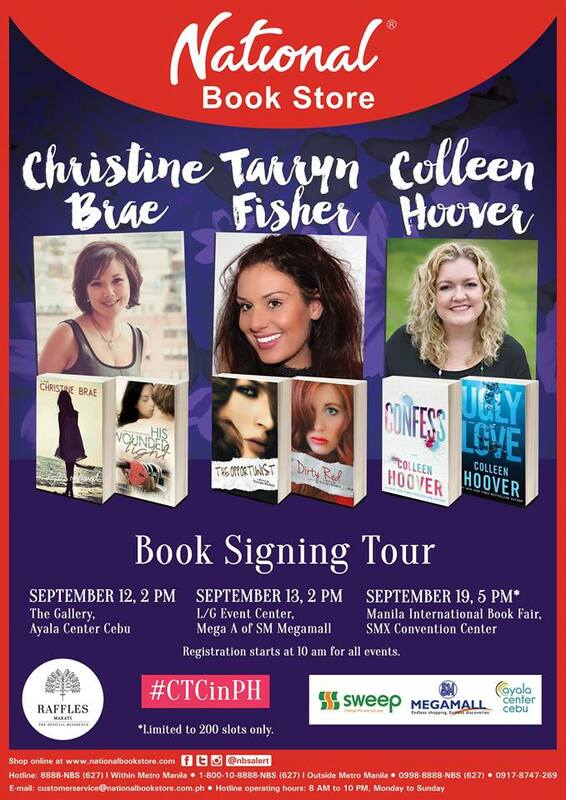 #CTCinPH Book Signing + Love Advice from Colleen, Tarryn & Christine! I was a member of a group in Facebook where they post updates about the said event. I saw a post which said that some will camp out while others will be at SM Megamall as early as 3am.